Besides mom and dad, someone else who is always seems to be around is my fur-sister. I’m not really sure what her name is, since mom and dad call her a whole bunch of different things: Molly, Missy, Little Miss—even baby! But wait, isn’t that my name? Can there be two of us? If we have the same name, does it mean that she lived in here before I did? And if she did, does that mean that my name will change when I come out, too? I guess I’ll just have to wait and see! always seems that she wants something! ‘s belly, which can sometimes squeeze me a little bit. 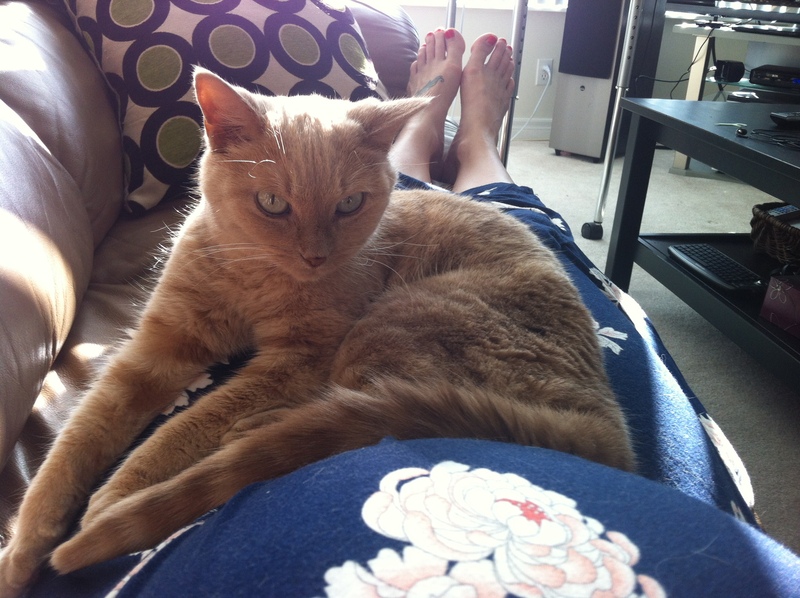 But that’s not the biggest problem…she likes to do something on mom’s belly called kneading. I’m not sure what that looks like on the outside, but on the inside, I sometimes have to duck and dive to make sure I don’t get whacked in the head! Is she going to knead me, whack me in the head and push me around when I come out, too? And just how big is she? Will I be able to knead her back? Oh, so many questions!